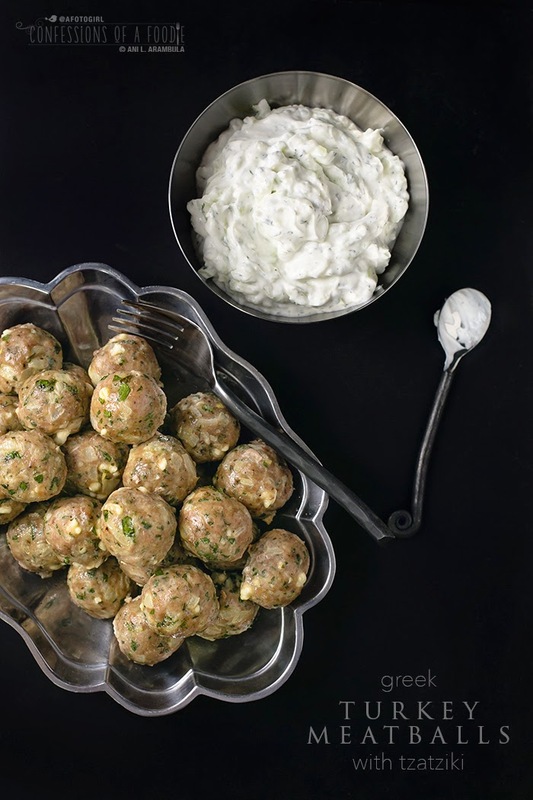 Greek turkey meatballs with cucumber tzatziki is a healthier alternative to traditional Italian meatballs. 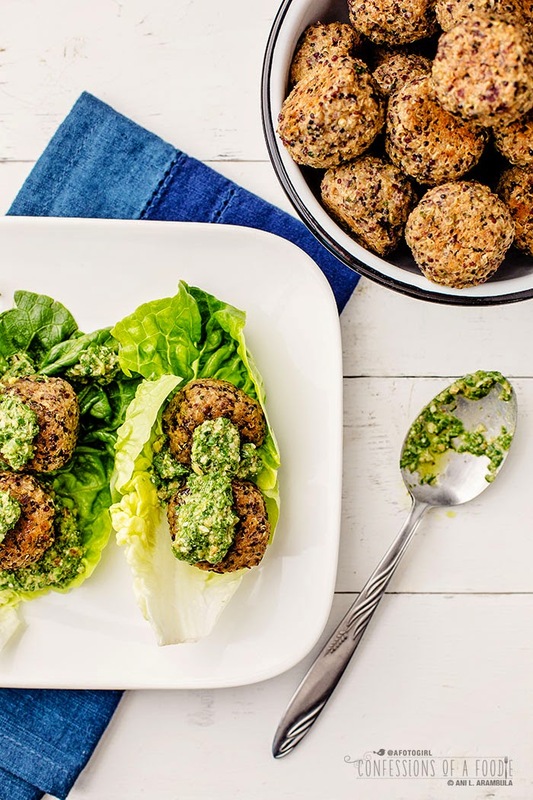 Versatile and healthy, these Greek inspired meatballs with tzatkiki can go from kitchen to table in 40 minutes so they're completely doable as a mid-week dinner. Plus the leftovers are great for sandwiches or tossed into a broth for a quick, nourishing soup. They're gluten-free and eggless (leave out the feta and they can be paleo, as well). There’s a restaurant in our neighborhood that is wildly popular. It's specialty wood burning pizza was designed and crafted by some famous master pizza oven making guy from the "old country." 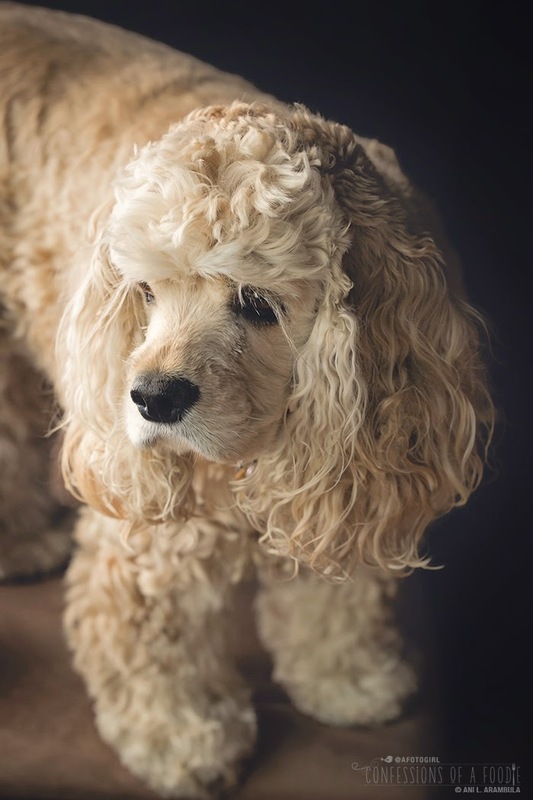 The oven is named after a girl and I swear, they speak of it as I speak of my darling little Starbuck, who is a living breathing being and not a brick oven. But I digress. I'm also not one who has ever named my car so, whatever. The space had once been home to one of my favorite neighborhood coffee shops just when South Park was beginning to develop it's current personality. The locals saw it as the first real neighborhood meeting place on the south end of the neighborhood (north side had Rebecca's). When we heard that a pizzeria was going in, we were quite excited to have one just two blocks away from home. Starbuck and I were able to watch the progress as the space transformed from coffee shop to pizzeria while out on our morning walks. Once the restaurant finally opened, Auntie and I were onboard to check the place out. Having seen long lines forming to get into the restaurant pretty much since day one, we decided to get there the moment dinner service began on a Saturday afternoon about a month after it had opened for business. Maybe our expectations were too high because our first experience was, well, meh. When it was the coffee shop, the windows had stained glass in them which tempered the sunlight. Now, windows were large, clear glass panes. We were blinded our first visit as they had no window coverings, never mind that we baked in the heat unable to escape from the late afternoon sun beating down on us (subsequent visits we sat outside on purpose so I still have no idea if they remedied that problem or not, and believe me, we complained!). For a pizzeria, I was surprised to find that my pizza was nearly inedible as it had an overpowering flavor of fennel in every single bite. Auntie, however, liked her pizza (for the most part). We both, however, loved the cheeseboard we began our meal with and our salads as well as the house made flatbread that came with it. Because half the meal was a success, we decided to give it a second try some weeks later. On our second visit, we skipped the pizza and tried their meatball appetizer to start and ordered pasta for our main course. My pasta was a bit on the gummy side but the meatballs? Oh my! Were they ever divine! Nowadays, the place is packed, with lines easily ten people deep at any given moment pretty much every single night. The poor, struggling restaurant across the street had not a fighting chance and recently closed down much to my disappointment (I could make a tasty meal out of their appetizers paired with a glass of wine). For the life of me, I can’t understand why this pizzeria is so popular. I've been there or ordered for pick-up maybe seven or eight times now. A newspaper food critic tends to write a review after three visits, so there was plenty of opportunity for a good dining experience to change our minds. Alas, the pizzas are almost always charred (on the edge of being burnt), the pasta’s have yet to impress, the atmosphere loud and crowded. Moreover, the meatballs have been inconsistent of late. As a matter of fact, a few weeks ago, we ordered meatballs for pick up and still had to wait well over a half hour outside the restaurant for it (after already waiting the quoted time at home before walking over to the restaurant to pick-up our order). By the time we got our order home, we were starving. Sadly, again, we were disappointed. The one thing from their menu we liked was, for the third time in a row, dry, dense, and lacking in flavor. Done. Finito. Not going back again. But the latest experience left me wanting for meatballs. Again. The last time I posted about meatballs followed a disappointing order from this same restaurant. This time, however, I opted for turkey and instead of the flavors of Italy, I went Greek. 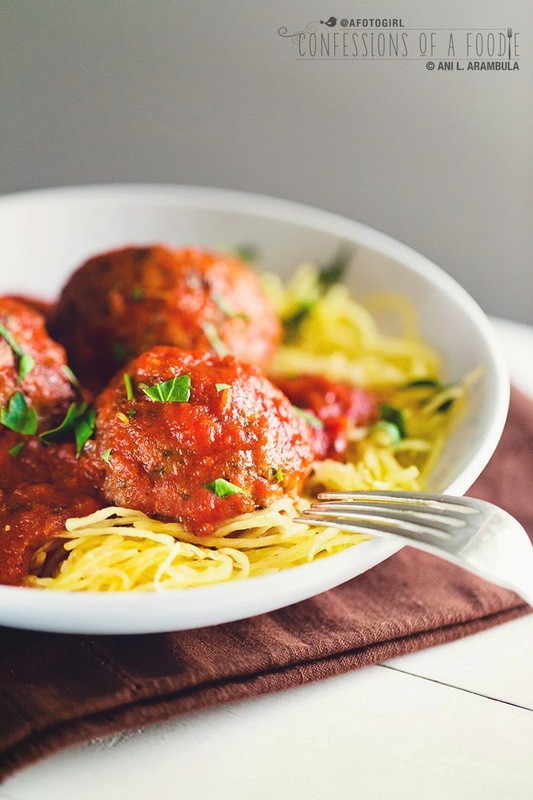 I made these the first time mid-week after a long day at work, start to finish, and it was so worth it, the most time consuming part being the actual forming of the meatballs. These babies are gluten-free this time around, as I left out breadcrumbs, and they’re eggless – I used a combination of a little good quality olive oil and some feta cheese to help bind everything instead. The slightly salty feta also helped lighten up the texture and added a lot of moisture, while the herbs popped nicely, adding freshness. I love having a ziplock baggie of these baked babies in the fridge for quick meals. Pop the leftovers into a small bowl with a few tablespoons of water, cover with a wet paper towel and microwave a minute or two to reheat. They get nice and juicy reheated this way. Add them to some buttered whole wheat noodles with a sprinkling of fresh cut herbs for a quick lunch. Or, toss a few into a simmering pot of chicken stock and veggies for a quick, mid-week soup. Warm a pita, slice a few warmed meatballs in half, add a few leaves of your favorite lettuce, a few sliced red onions, some sliced cucumbers and a dollop of tzatziki and call it dinner! So many things you can do with these leftovers. 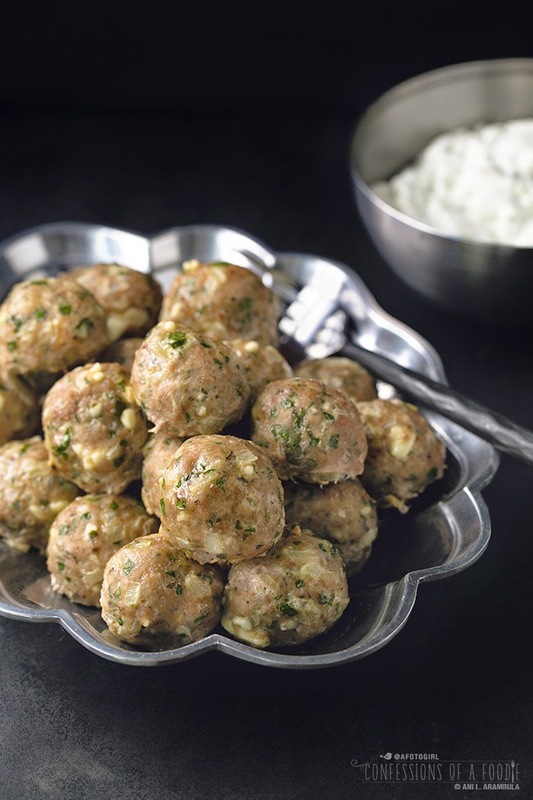 I have made these Greek inspired turkey meatballs a few times now and am totally loving them. I hope you do, too! The key to making tasty meatballs is two-fold: first, don’t squish the meat and compact it while mixing and second, don’t over bake them! Bake until internal temperature just reaches 160 degrees (mine took exactly 15 minutes to reach this temperature). When you pull them out of the oven and allow them to rest, they will continue to cook with internal temp rising at least an additional 5 degrees (mine rose 7 degrees). 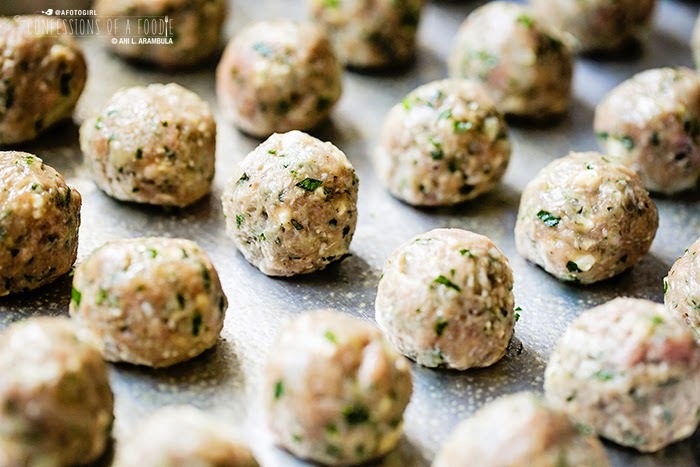 If you cook to 165, by the time you sit down to dinner, those meatballs will have risen potentially up to 172 before beginning to cool down, resulting in a dried out meatball. This rule of thumb applies to pretty much all ground meat. Peel the cucumber then slice in half, length-wise. Using a small spoon, scoop out and discard the seeds. 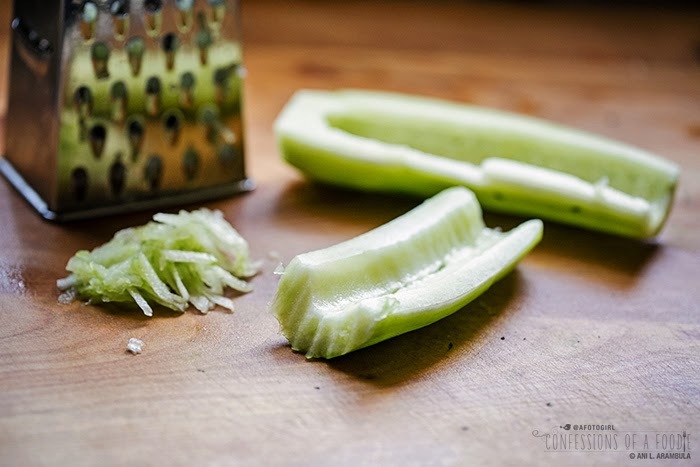 Shred the cucumber using the large holes of a box grater. 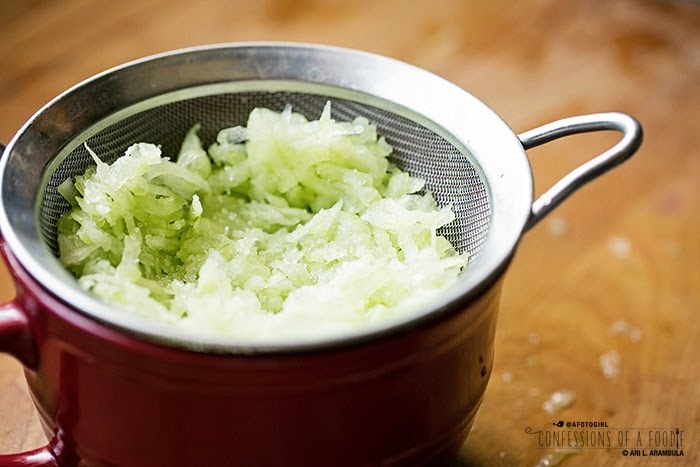 Place the shredded cucumber into a fine mesh sieve placed over a small bowl. Sprinkle ¼ teaspoon of salt over the cucumber and toss to coat well; set aside. The salt will help to pull the excess water from the cucumber. In the meantime, place the yogurt, lemon juice, dill, mint and garlic in a small bowl and stir well. Cover and refrigerate until while you make the meatballs. 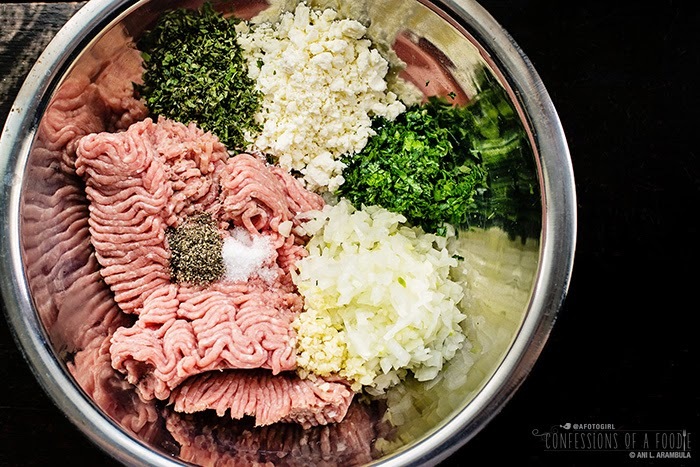 Fold the ingredients for the meatballs together in a large bowl, mixing gently with hands to incorporate all the ingredients well. Spray a small skillet with cooking spray and place on medium high heat. Use a 1 ½ inch cookie scoop to scoop out some of the mixture, flatten into a patty and when skillet is hot, cook the patty for 3 to 4 minutes on each side or until no longer pink in the middle. Taste cooked meat and adjust seasonings to raw mixture as needed to taste (I needed no adjustment). Pre-heat oven to 375 degrees Fahrenheit. Spray a large rimmed baking sheet with cooking spray. Using the 1 ½ inch cookie scoop, place leveled scoopfuls of meat onto the baking sheet. Repeat until the pan is filled. Wet hands, then go back and pick up each scoop to mold into round meatballs and line up on pan so that meatballs are close but not touching. This should make more room on the pan and allow you to finish scooping the rest of the meat onto the pan to make roughly 32 meatballs. Once all meatballs are formed, give them a light once-over with cooking spray. Bake meatballs for 15 minutes or until internal temperature reaches 160 degrees. Remove meatballs from oven. They will look a little light and wet when done but will soak up most of the meat juices while they rest (and finish coming up to 165 degrees while resting so don’t cook them to 165 or they will be dried out come time to eat them). While the meatballs are baking, pull the prepared yogurt from the refrigerator. 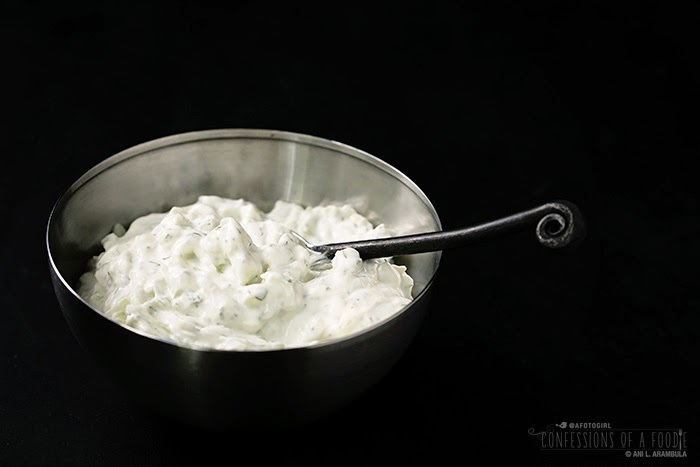 Pick up small handfuls of the shredded cucumber and squeeze tightly to remove water; add squeezed cucumber to yogurt bowl and stir well to combine. Adjust seasoning to taste. Return to refrigerator until ready to serve. 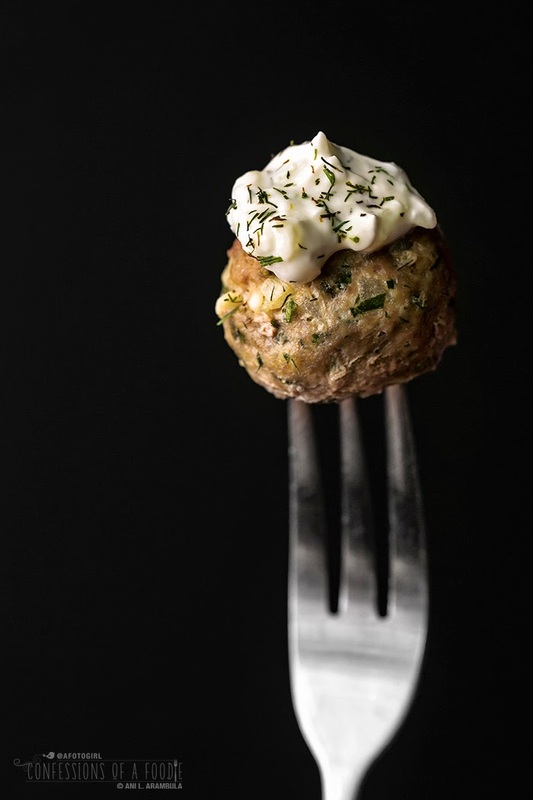 Serve meatballs with the tzatziki either spooned over them or as a dipping sauce (thin out with water, if desired, though I prefer a thicker consistency). Store completely cooled meatballs in a resealable plastic baggie. To reheat, place desired amount into a small bowl, add an inch or two of water, cover with a wet paper towel and microwave for 1-2 minutes or until warmed through. The water helps to keep them juicy while re-heating. And because it's been quite a while since Starbuck has been in a post, here's a bonus picture of her as she hopped onto a nearby chair to keep an eye on my shooting platform just in case a meatball rolled off the table. Look at that concentration. I can just hear her thinking, "Come to me, meatball." and Starbuck is as lovable as always.